In today’s market, Stark Lane strives to provide the best career opportunities for the leaders who make quality healthcare possible. 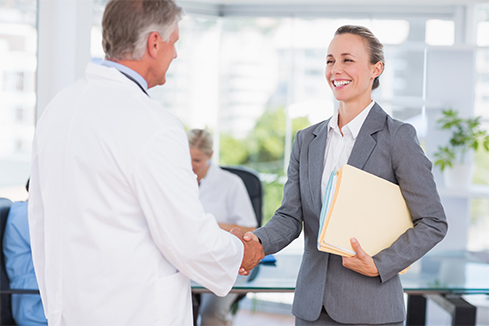 Our team maintains strong relationships with the nation’s leading healthcare industry employers. Transparency and close communication have always been a key ingredient to our success. Good, bad, or indifferent, it is hard to plan your life and career without consistent feedback and communication during life-altering events such as a change in your career path. Our staff members are National Association of Personnel Services (NAPS) certified professionals and possess in-depth knowledge of market trends and contemporary business landscapes. This is the first time I've used Stark Lane and was very impressed with the service and the responsiveness! So excited that it was a success! Looking forward to my new position! My recruiter is the best! I thank her for all of the hard work she put in for me. Steve Holland was fantastic! We had multiple conversations and I always felt well supported and informed during the process. Steve Holland was heaven sent. He was so helpful and reassuring. He communicated every step of the way. I highly recommend him! Thanks again Steve! My recruiter was great, very professional and helpful. She deserves a recognition for her skills and knowledge. My recruiter is fantastic. He is genuine and sincere. Very personable. Makes you feel extremely comfortable when speaking with him; like an old friend. His people skills are top notch and he can build relationships very quickly and with little effort. These traits come naturally to him. I would highly recommend him and Stark Lane's services to any of my peers/colleagues. My recruiter is exceptional. Great attitude, helpful, consistent, and he gave me clear information all along the way. It was a pleasure from day one when I got a call about the position available to the day when I received the offer letter. My recruiter stayed in touch and checked with me throughout entire process. We are pleased to help develop your career when the time is right. With an unparalleled track record and more than 300 client organizations, we invite you to discover the Stark Lane difference.